Christ Revealed Encore Weekend is underway! Go to the list page RIGHT HERE and choose which episodes to watch. No registration required on weekend encore! GO RIGHT HERE TO WATCH! There’s only a little time left for you to catch all the episodes in Christ Revealed – they’re all right here for you to see but keep in mind when Sunday night at midnight rolls around, it all comes down for good. Catch up on what you’ve missed now before it’s too late. And remember – discounted packages for you to own are in place for this special Encore event. But once this weekend replay is done, so are the discounts. So to get Christ Revealed for yourself, or as a gift for someone close to you, click here for more. 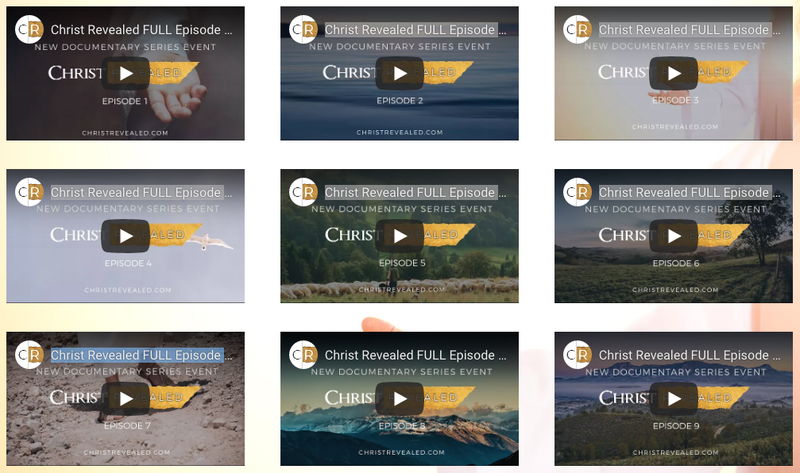 GET STARTED WITH THE CHRIST REVEALED AFFILIATE PROGRAM NOW! Seriously, thank you for joining us. It speaks volumes of you to be here. Partnering with us is easy, and your contribution to the success of this series will bring the life-saving truth about Christ to people around the world. You can trust Revealed Films to produce and deliver high-quality, groundbreaking films that change lives and open eyes. Since 2012, we’ve produced award-winning documentaries providing answers about vital issues, exposing corruption and revealing healthy solutions. YES! I want to become one of your affiliates NOW!